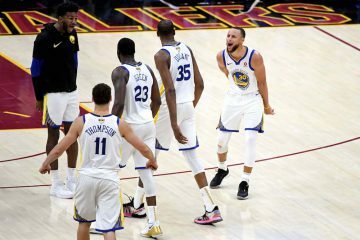 In typical Golden State Warriors opponents fashion, they brought their best effort against a team that owned the best record and offense in the entire NBA. The Atlanta Hawks, with one of the best defenses in the league, after falling in a trap game the night before to the Los Angeles Lakers, hammered out their finest performance despite a 5 games in 7 nights schedule. 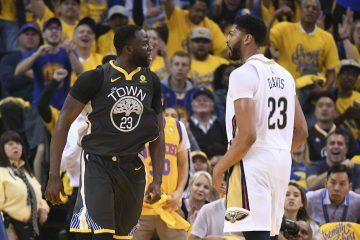 The final word went to Draymond Green, who started last week with a public offering of himself as the Defensive Player of the Year and bolstering that statement with two spectacular closing possessions in a narrow 105-100 victory. Dennis Schroder, after torching Stephen Curry to the tune of his worst defensive performance to date (more on this later), had Green on an iso late in the fourth. 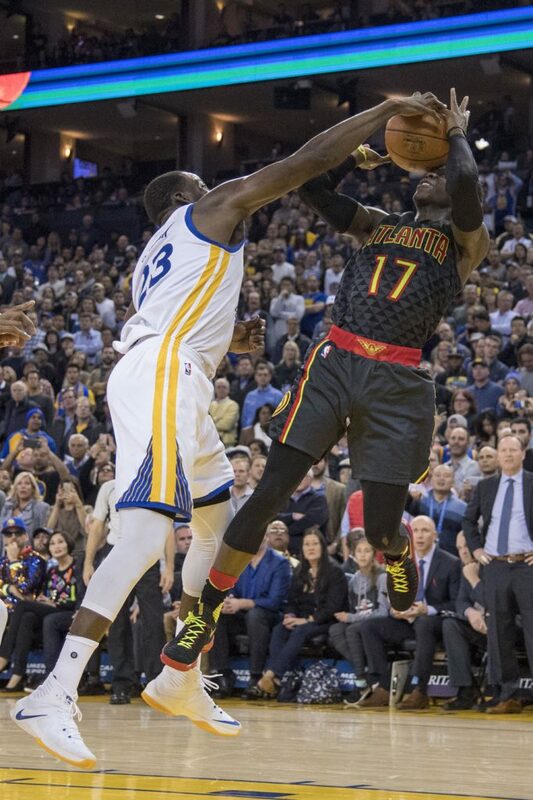 Despite Dray admitting after he still had ankle discomfort when trying to move, he shifted back just enough before going vertical while swinging down when the shot went up and blocking it off Schroder in one motion. A possession later, Kent Bazemore flew to the rim only to get swatted yet again by a waiting Draymond before he finished off the play with a swipe of the ball off Bazemore’s leg to give GSW possession. “People counted out our defense with Bogut out. 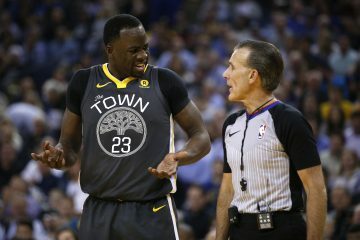 That pisses me off.” With the Warriors, most things tend to get on their nerves but Draymond who is perhaps the most honest of his teammates got after his critics. The Warriors have cleaned up against a soft schedule and their defense still turns on and off at any given moment but his point in regards to Kevin Durant’s ability to weakside help and improving their athleticism rings true. In all minutes in crunchtime the Warriors will always go small, with or without Bogut, and Durant’s ability to not only score but to defend and rebound vastly outweighs Harrison Barnes’ ability. A seemingly simple concept that the rest of the league has yet to catch up on, at least for now. 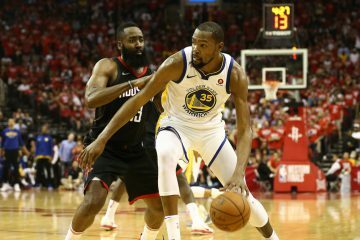 The game itself hearkened back to the early season Warriors struggles, especially after a promising stretch that’s pushed them into the top-ten on defense. They lacked energy and flow on offense to start with Zaza Pachulia on the floor taking up space at the nail spots. The bench with Steve Kerr’s experimentation lineups in lacked communication and any type of offensive movement. On pace now for 73 wins yet again, these Warriors are looking less and less like last year’s iteration, one that appeared to peak a tad too early for their liking. As Andre Iguodala explained eloquently postgame, Durant’s offense right now is still like an onion. Just 16 shots tonight, it doesn’t appear the Warriors are peeling away all the layers right now. Be it a weapon in hiding for the future or a team still struggling to acclimate all its playmakers and stars, these Warriors are matching their greatest heights, with more substance still to gain. Klay Thompson saying “My teammates always tell me I’m thirsty for shots” while throwing an airplane at the camera and it garnering Twitter acclaim from his greatest fans sums up everything Klay Thompson. 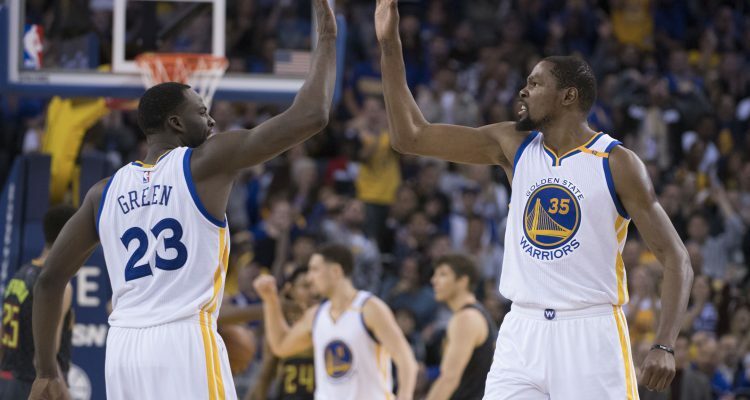 “Who cares who shoots?” a quote from Kevin Durant that has defined these Warriors so far: selfless. Andre Iguodala, Klay Thompson, Steve Kerr and everyone else took to the podium to back Draymond’s DPOY credentials. Whether it right or not, we have learned in the last couple weeks that if you say something enough, the public will tend to vote your way. Stephen Curry’s defense, be it the scheme that’s having him shade defenders towards the baseline where there is no rim protection, or just him, was not good tonight. His defense improved last season but the Cavs picked on him in switches in the NBA Finals. I don’t mind Steve Kerr experimenting with lineups like Livingston at the 4 with three other guards while he’s going up against Paul Millsap. Much better than, say, playing Anderson Varejao in a perpetual failure of an experiment. The Warriors have yet to figure out what type of offense they want to run in crunchtime when the pace may slow down and they have less opportunities to let shots fly in transition. Sooner or later, they’ll figure it out. The answer might come with Iguodala’s aggressiveness as well as his comment on Durant’s onion-ness. I’ll be headed on vacation on Wednesday night and be back to cover the Toronto Raptors on 12/28. Be well, don’t do anything I would do.